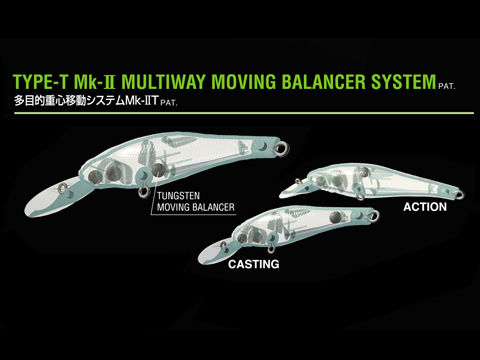 To give more sharpness to its movements during trick actions, the X-70's moving balancer design has been tuned to respond extremely sensitively to rod input such as twitches and jerks. 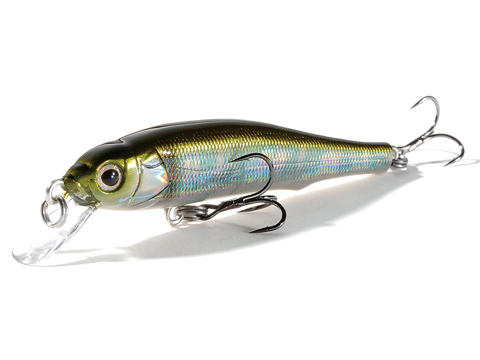 During jerks, the X-70's unique flat body creates dynamic flashing that is easily mistaken for the flashing of live bait. There are many minnows that are focused on darting action, but the X-70 is probably the only one focused on getting bites with its mesmerizing flashing during normal retrieves as well.